In 2001 I set out to create a definitive list of gripes (or “Reasons to Hate” as I called them) Star Wars: Episode I. The eight part series of 78 Reasons to Hate became the most read thing I’ve ever written resulting in millions of hits, spawning a vibrant online community, and continuing on through Episode III: Revenge of the Sith. The attention these articles lead to a mention in Entertainment Weekly, a BBC documentary called Generation Jedi which I still haven’t seen, thousands of emails of praise and condemnation, and a fun interview for the movie The People vs. George Lucas. They even lead to me meeting my wife. It’s hard to imagine that my criticism of The Phantom Menace would indirectly lead to the birth of my three children. Nothing else I’ve ever written has had such an impact on my life. Much like Darth Plagueis, my criticism of these movies had the power to create life. In the twelve years since Revenge of the Sith I’ve had time to reflect and think about these movies more. While I stand behind all my gripes, I do not stand behind the word hate. I have no hate for any of them. One thing I told Alexandre O. Philippe while filming The People vs. George Lucas is that I don’t enjoy the hate that’s risen out of the prequels. Sure, I have my problems with them, I even used the term “hate” which in retrospect I wish I hadn’t done. 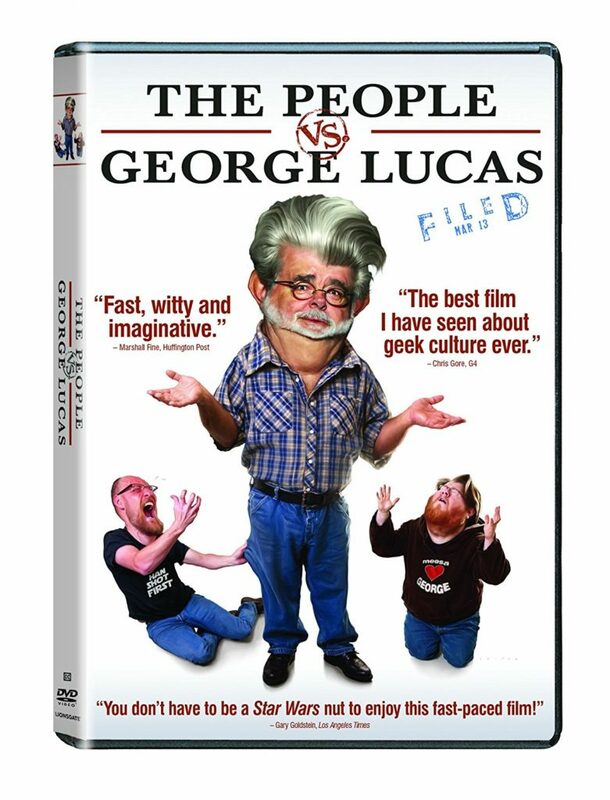 However, things got pretty ugly with the way that George Lucas, and unfortunately his family, were treated because people simply didn’t like the movies. Don’t get me wrong, I don’t like these movies. I think that is clear. I also don’t mind some goodhearted poking of fun at Mr. Lucas. However, he is George Lucas. He didn’t kill or do anything to your childhood by making movies you didn’t like. He simply disappointed you. He disappointed me too. For that I will always be happy to make a lighthearted joke at his expense. At the same time I realize my “hate” came from love. Love of the original movies and love of the man who was behind them, creating something that was so important to me and so many others of my generation. When The Force Awakens came out I was bombarded with tweets and emails from people asking me what I thought, asking me to review and give new reasons to hate this new movie. I answered everyone simply that I couldn’t do it. I honestly really enjoyed the movie. I am baffled by people who say that The Force Awakens was terrible or the worst thing they’d ever seen, etc. I’m past that. I had nothing invested in The Force Awakens. I refused to watch any trailer, read any review, or look at any fan theories. I went into the movie completely blind and was pleasantly surprised by what I saw. With The Force Awakens I simply had no energy to make a list of gripes with it. It was fun. I laughed, I was touched, I was entertained, it moved quickly. Sure, I could pick apart every little detail about it but at the end of the movie I was happy and satisfied. That seems to be what it all boils down to. I could poke holes in A New Hope, Return of the Jedi, or even The Empire Strikes Back. No film or piece of art is without its problems or inconsistencies. To me it’s all about the balance. Was the film fun enough, good enough, or entertaining enough to allow you to let go and ignore the small distractions? 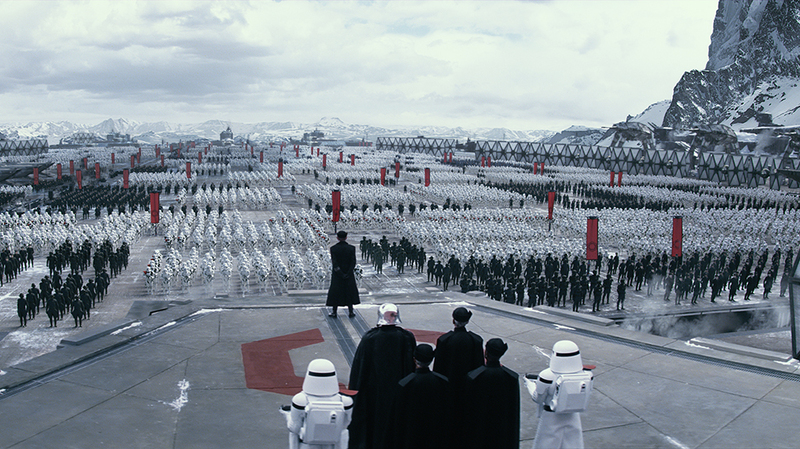 I could probably write a 10,000 word essay about my problems with “The First Order” and “The Resistance” and how they relate to The Empire and The Rebellion and all those odd political things going on in the film. 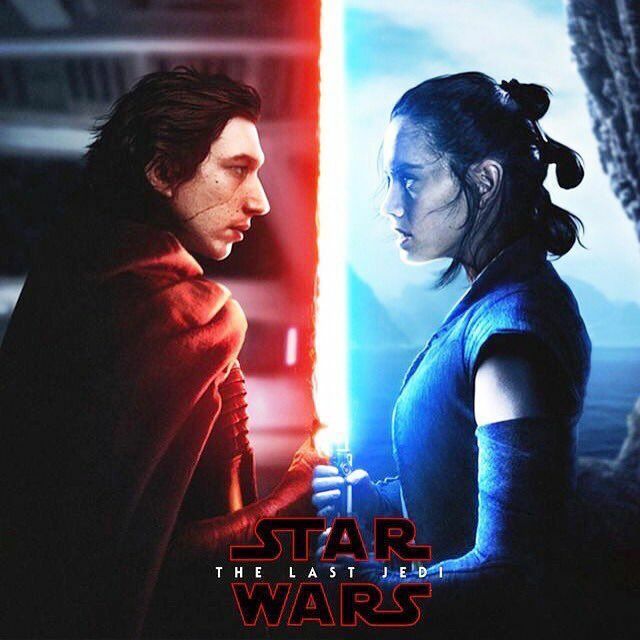 However, getting to know Rey and Finn, seeing Han Solo back in action, and learning about Kylo Ren were all well worth those distractions to me. 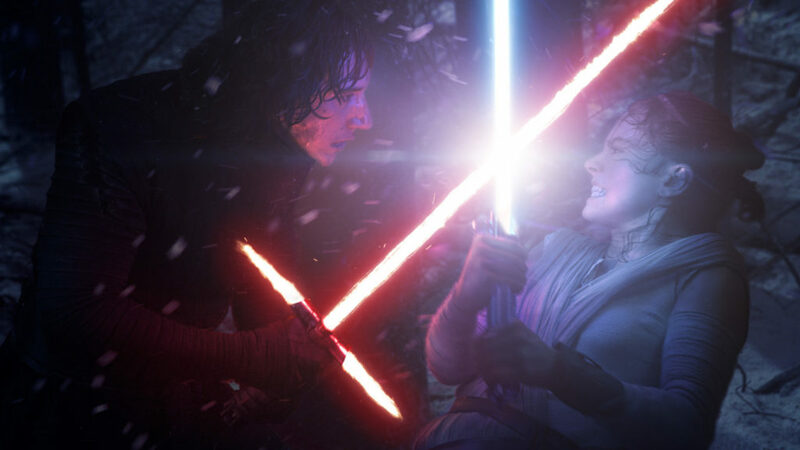 So it was that I never publicly talked about or wrote about The Force Awakens. I simply waited patiently, ignoring all trailers, fan theories, and potential spoilers for The Last Jedi. Even with that it was hard to ignore the general sense of elation and joy coming from the media and critics who seemed to be in love with this movie. 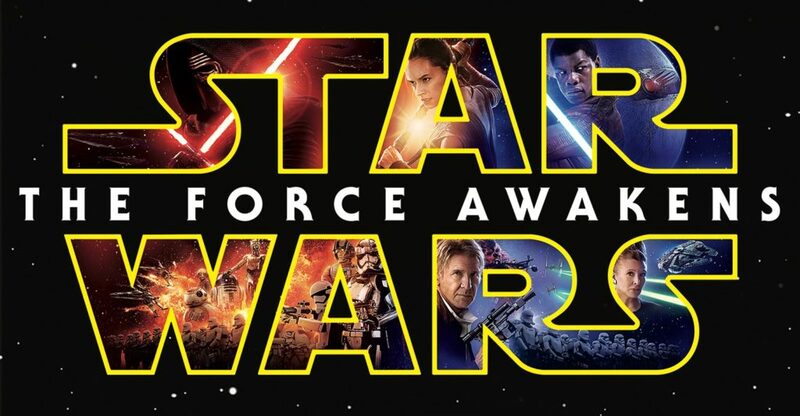 Many compared it to The Empire Strikes Back or even called it the best Star Wars movie yet! I was starting to get excited. When I finally saw the movie on December 15 I felt much the same way I did after seeing The Phantom Menace. This is not to say I though it was at all on par with The Phantom Menace as far as quality. 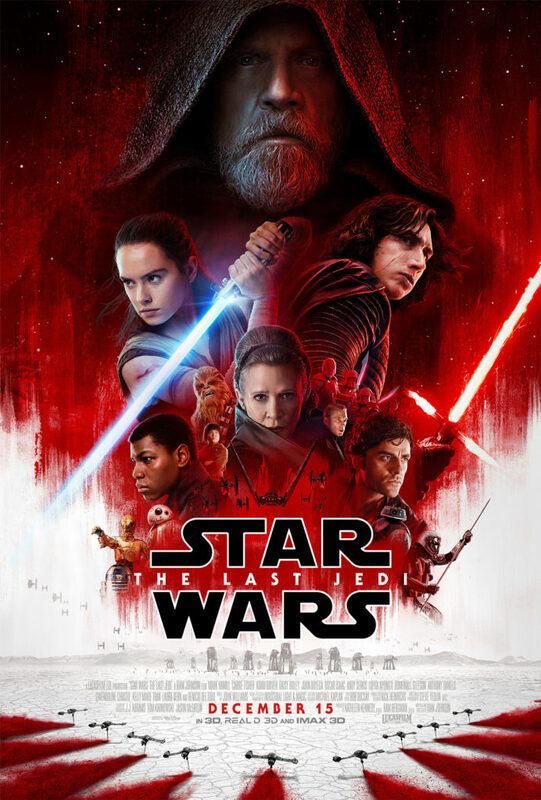 The Last Jedi is a much, much better movie. The feeling I felt was that of confusion. I wasn’t sure if I liked it or not. I didn’t want to say anything bad about it but at the same time I was disappointed. I was confused. Was there something I was missing? Everyone else seemed to love this movie! I had to sit on it for a few days. I had a chance to talk it out with some people and I could feel those same wheels turning, the ones that in 1999 eventually lead me to write my 78 Reasons to Hate articles. I didn’t write those articles to be funny. I didn’t write them to get people to praise me or to wish death upon me via email. I wrote them because I had to. There were so many things swirling around in my head and I had to get them down on “paper.” I had to make a comprehensive list for my own sake, to get it out of my system. And you know what? It worked. I felt much better after having done so. Now I find myself in the same position with The Last Jedi. I must personally feel that here are enough distractions and inconsistencies with the movie that they outweigh the overall feeling I got from the film or I wouldn’t feel this way. I know a lot of people who loved it, a lot who feel the way I do, and still others who hate it well beyond anything I feel. I don’t hate it. But I have a lot of problems with it. After having a couple of weeks to think about it I think I’m ready to get them out in the open and discuss them. Unlike my previous articles, which were written in their completion before being broken up, I have nothing written at this time. All I have is the thoughts in my head. I have no schedule and no timetable. I will no doubt have to watch the movie again to take some notes and I will try to get my thoughts out in as close to chronological order as possible. I’m ready to talk but I don’t wish to debate. I have three more children and one more wife than I had when I wrote my original articles. I don’t have time for that. Enough people have asked for my thoughts that I will get them out there. If you agree with any of them, great. If you don’t, even better. That means you’re a self-aware human being with your own thoughts and ideas. Cherish that and be yourself. Like and enjoy what you like and enjoy and don’t let anyone tell you otherwise. 2018 will see the beginning of my feelings. In the meantime if you wish to read any of my previous reviews of the movies you can do so here.